Two dancers lay on a rich, saturated pink carpet—their duet, at first, appears as an almost imperceptible one. Through continuous, extremely gradual movements, each dancer moves from one position to the next, over the course of what is an hours-long performance piece. The presence of the performers’ bodies, their slowly developing forms, is something akin to the magic of witnessing a latent image emerging onto light-sensitive paper in a darkroom. This is the work of New York-based choreographer Maria Hassabi, entitled STAGING (2017), commissioned by the Walker Art Center to premiere throughout the exhibition Merce Cunningham: Common Time, concurrently on view at the Museum of Contemporary Art Chicago. Hassabi’s performance works display a remarkable durational stamina that assists in priming a viewer to slow down and pay attention. And so, I find myself sitting on the carpet to further take my time watching the thawing dancer’s positions. 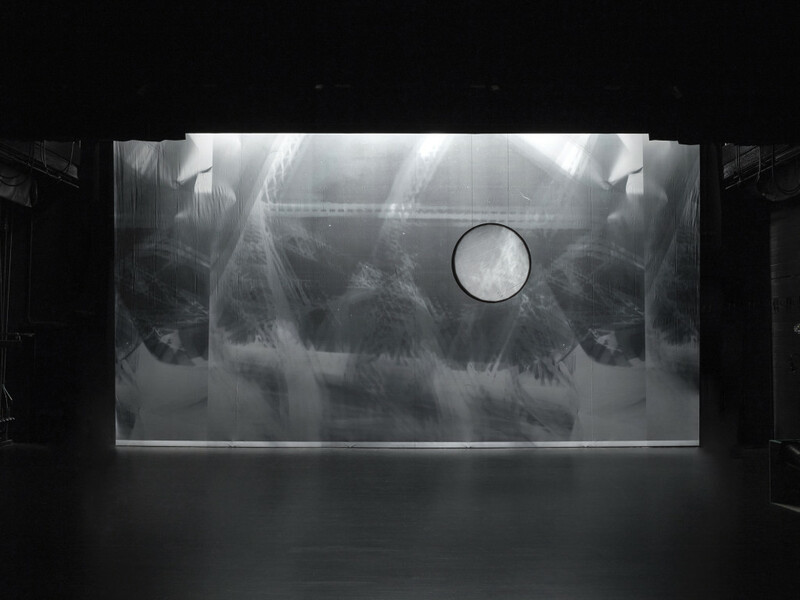 Specific moments of Hassabi’s dance transport me to Cunningham’s 1968 work, RainForest, where the performers enact animalistic movements on the stage floor, as Andy Warhol’s silver Mylar clouds float, hover, and move in cumulus formations. Though we are only at the entrance to the exhibition Common Time, Hassabi’s performance is an appropriate reminder that Cunningham’s legacy is felt most when one is bearing witness to bodies in exploration of new movements. 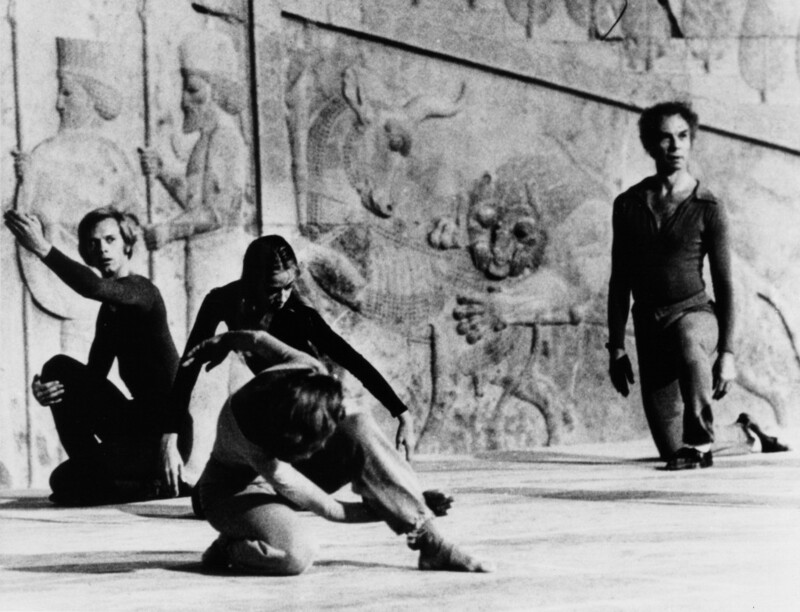 Merce Cunningham and Dance Company performing at the Shiraz Festival of the Arts, Persepolis, Iran, 1972. Image courtesy of the Merce Cunningham Trust. 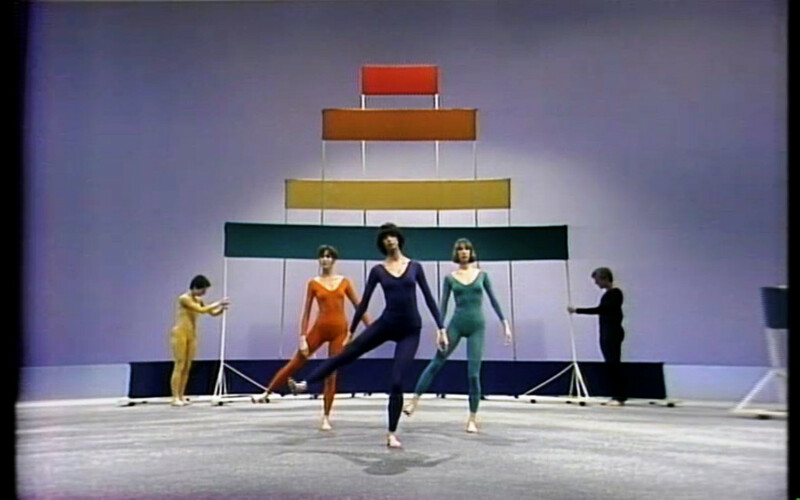 My understanding of Cunningham’s oeuvre is not academic, but rather stems from time spent with the Merce Cunningham Dance Company (MCDC) while collaborating as a décor artist for the work Split-Sides (2003). My involvement with the MCDC was the result of chance, curiosity, and serendipity while meeting Trevor Carlson, who was then the Executive Director of the Cunningham Dance Foundation, and a trusted advisor and friend to Cunningham. Alongside him, Carlson played key roles in orchestrating certain collaborations, one being Split-Sides, which I worked on. This was the beginning of my life as an artist, and a member of the Cunningham “family.” For the tail-end of my senior year in high school, and the rest of the year 2003, I traveled to and from New York for production meetings, MCDC performances, and meals at Cunningham’s loft. I can still remember the water stains on the wooden floor near the windows where John Cage once had his plants, and seeing Jasper John’s 0 through 9 (1960) hanging on the wall. Robert Chase Heishman, etc, 2003 (décor for Merce Cunningham Dance Company’s Split-Sides, 2003). Courtesy of the artist. Each trip to New York was a new experience. Days began and ended at Cunningham’s longtime Westbeth studio, effortlessly floating along from one activity to the next, all the while creating photographic décor for the piece. The days teemed with new experiences: one moment Sigur Rós was recording his voice and Cunningham dancers’ feet on the studio floor, the next I was on top of a building assisting fellow collaborator Catherine Yass shoot streaky, long-exposure 4×5 view camera photographs of the surrounding skyscrapers. I was setting up make-shift darkrooms to process the pinhole photos I was making, once in the basement of the MCDC studios, another in Cunningham’s dressing room at Bard College. His philosophy, of trying to say “yes” rather than “no” to experiences, was a vapor all of us collaborators (and staff) gladly inhaled. “Common time” was not so much a concept, but a lived experience. Charles Atlas, MC9, 2012. 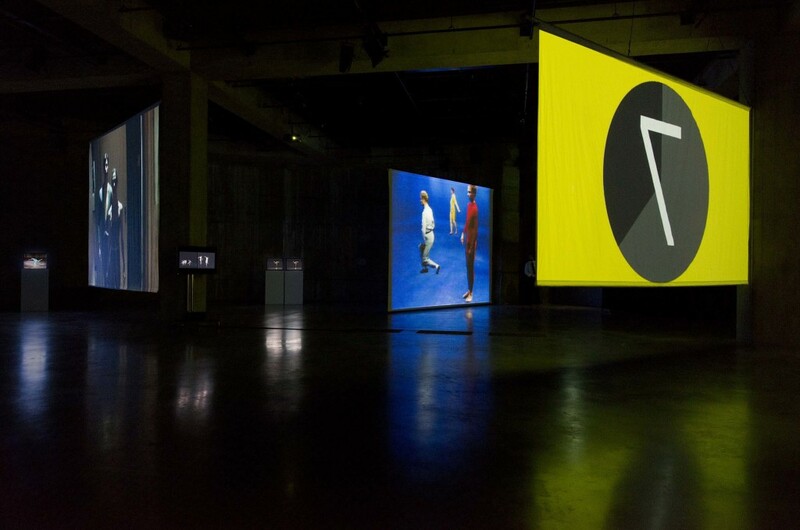 Installation view, Charles Atlas and Collaborators, BMW Tate Live, The Tanks, Tate Modern, 2013. Edition of 3 and 2 artist’s proofs. © Charles Atlas and Tate. Photo: Gabrielle Fonseca Johnson for Tate Photography. With the exception of Cunningham’s “video dance” works created in collaboration with multidisciplinary artist Charles Atlas, the film recordings of his dances, while immensely important and beautiful, cannot replicate the immediate experience of the works as they were in the moment. Without prior primary experiences of seeing the MCDC perform countless times (sometimes in these costumes, against these very sets), the question of how the visual arts narrative might overshadow the performative narrative of Cunningham’s oeuvre begs to be asked. While the thread that weaves the myriad interdisciplinary artifacts on view in both iterations of Common Time is, of course, Cunningham’s dance work, many of the objects within the exhibitions have the remarkable capacity to double as compelling, self-reliant artworks in their own right. This quality is the beauty of the freedom Cunningham gave to each artist, myself included. The works produced for his dances were the fullest version of décor—costumes, music, etc.—that each collaborating artist had to offer. The installations within both exhibitions risk speaking to (and/ or for) the essentially immaterial record of the MCDC performances—even video documentation of a dance, as alive as it may seem, chances a different experience. Frank Stella, Décor for Scramble (1967) in Event for Television, 1977 (still). Directed by Merrill Brockway. Courtesy WNET-TV New York Archives. Décor ©2016 Frank Stella/Artists Rights Society (ARS), New York. 1 Cunningham, Merce. “Collaborating with Visual Artists.” Merce Cunningham Trust (n.d.): n. pag. MC Writing Text – Merce Cunningham Trust. Web. 23 Mar. 2017. 2 Kerr, Euan. 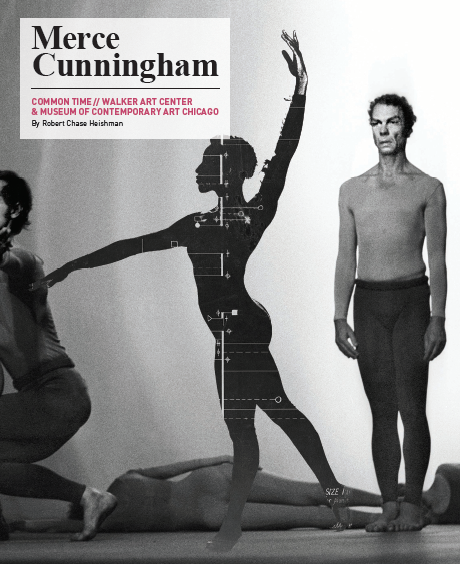 “Exhibition Celebrates Merce Cunningham And His Choreography Of Chance.” NPR. NPR, 18 Feb. 2017. Web. 23 Mar. 2017. May 23, 2017 | Filed under Art Seen: National, PAST ISSUES and tagged with John Cage, MCA Chicago, Merce Cunningham, Robert Chase Heishman, The Seen, Walker Art Center.